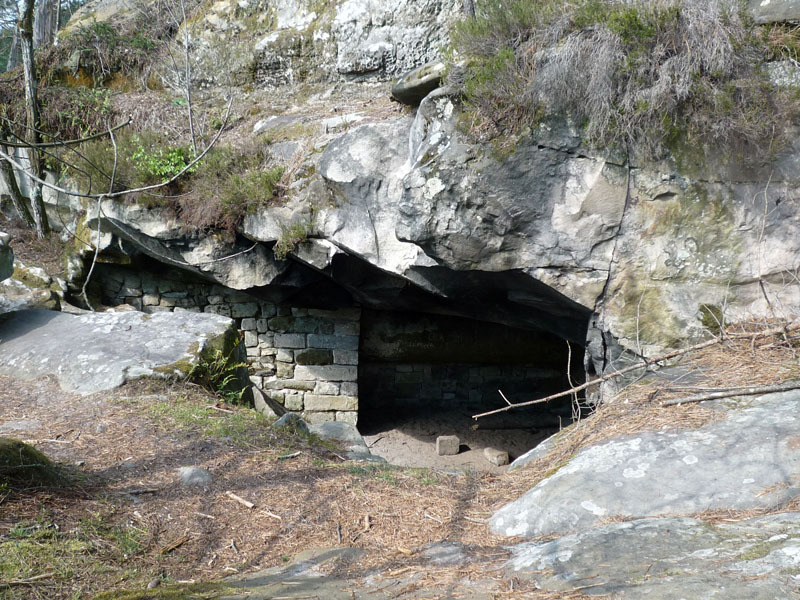 This sector gathers isolated boulder around the blue path, in the North part of the Gorges du Houx. The most convenient is to park at Le Carrefour de la Croix de Franchard and to follow La Route du Mont Aigu for 400m (300m up to Le Carrefour du Houx and 100m of descent). Most of the boulders are on the left in the slope.